The police has breached the country’s Constitution and human rights by forcefully putting a stop to the UPNG planned peaceful protest march today. 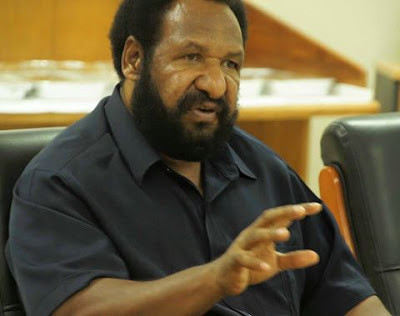 This is the word from the PNG Opposition Leader Don Polye in a press conference at parliament today on the bloody incident that took place at the UPNG Campus this morning. "The United Nation, our Constitution talks about upholding the rights of individuals to have the right to express freely their opinions," Polye said. "What the police has done is absolutely unconstitutional and they have broken every principle of human rights in PNG by stopping the students from doing a peaceful protest march. We strongly condemn the action by police and the order given to use deadly force." Meanwhile, the opposition is upset that the government this morning turned a blind eye towards quickly address the morning incident at UPNG. Polye said this shows a government that is irresponsible and don't care about the rights of its people. Meanwhile, the adjournment of parliament to August 2nd is showing the government suppressing important matters. Former Attorney General Kerenga Kua said at such chaotic time, parliament must not be adjourned until parliament properly address the situation.